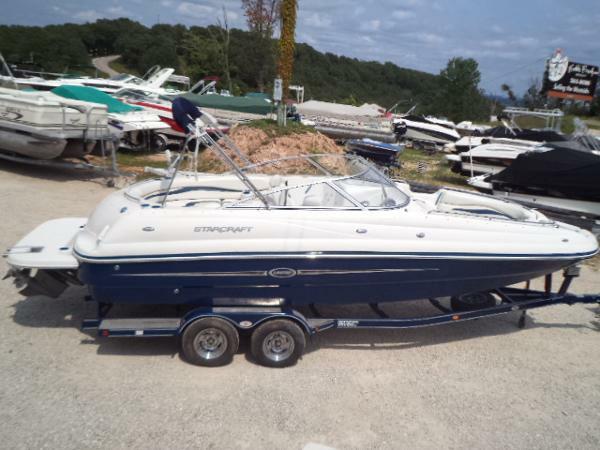 2006 Starcraft 2410 Aurora This unique deck boat has a great "V" hull design to gracefully challenge rough water. She is well powered a 5.7L GI Volvo and 280 horse power with the Duo-Prop drive system will give your family the ultimate boating experience every time the key is on. You will enjoy that large swim platform and walk-thru transom which gives way to a roomy "U" wrap seating area in the back of the boat. The twin captains chairs with thigh bolsters and adjustable arm rests will give the captain and first mate a comfortable seat better suited for living room than a boat! The bow is deep and plush as well. 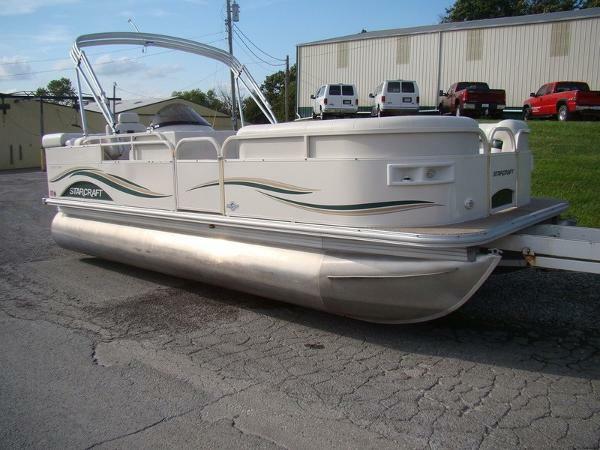 Other features include a matching trailer, enclosed head area, battery switch, snap out carpet, aft filler cushions, bimini shade top, MP3 hook-up for the CD stereo, titl wheel, full instrumentation, and more! 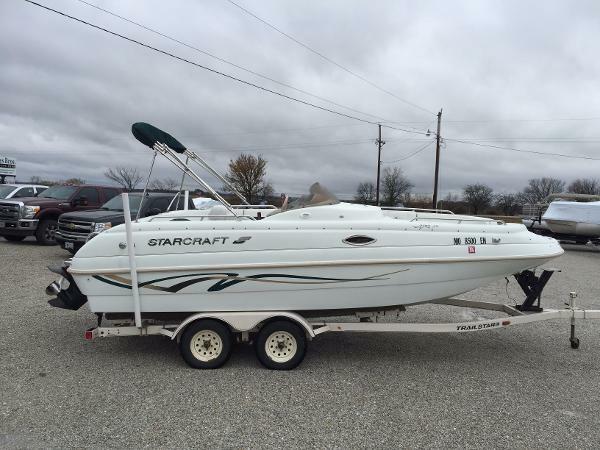 2004 Starcraft Elite 206 2004 Starcraft Elite 206 Options:Mooring CoverBimini Frame (needs new canvas)Trim GaugeStereoPortable CupholdersDinette TableDocking LightsTandem Axle Trailer Included (not pictured)Very clean boat! The vinyl and carpet is in great shape! Call or email to set up your demo!